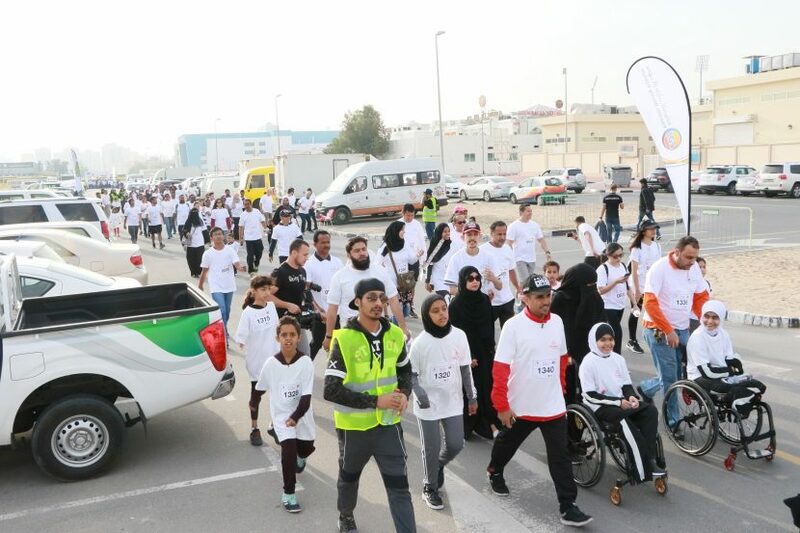 Huge crowds thronged Thumbay Hospital – Dubai on Friday, 22nd February 2019, to take part in the ‘Walk for the Tolerance Walkathon’ organized by the hospital. Around 1600 people from all walks of life belonging to different nationalities and age groups marched in celebration of the UAE’s observance of 2019 as the Year of Tolerance, in line with the founding ethos of the UAE and the ideals of the visionary leadership of the country. The walkathon was supported by the General Directorate for Security of Bodies – Dubai Police, RTA, Dubai Sport Council, Dubai Police Al Qusais Branch, Dubai Police People of Determination Council, Dubai Police Traffic Department, General Department of Community Happiness – Department of Sports Affairs, Dubai Civil Defense and Dubai Ambulance. 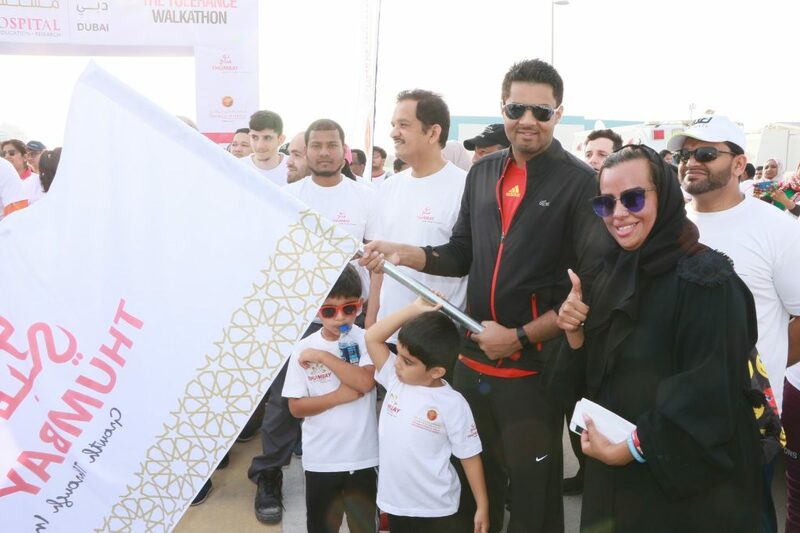 Participants of the walkathon included the general public as well as people of determination, corporate teams and school students. A motorcycle parade was taken out by ‘The Knights MC’ bikers’ team, with the support of Dubai Police, as part of the event. The bikers also organized a Blood Donation Camp in cooperation with the Dubai Health Authority (DHA) at the hospital from 9am to 1pm. The Automobile and Touring Club of UAE also paraded in support of the walkathon. All participants were presented goody bags. Prizes were also awarded to the 1st, 2nd and 3rd place winners.